Work out from your phone. 10 muscle groups. Boost strength and power. Improve endurance. Speed up recovery. Prevent injuries. Redefine your training experience. PowerDot is a companion app for a wearable electrical sports muscle stimulator that utilizes EMS technology and provides active athletes and sports enthusiasts with a new and unique way to train, recover and improve their overall sports performance and results. 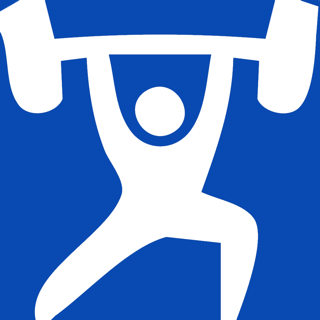 The app comes with a set of predefined workout routines – for all main muscle groups - aimed at athlete of any level engaged in virtually any sport. Connect your PowerDot to the app, wear it on the desired muscle group, pick a program and start training! Same as Active Recovery, but runs longer. Low frequency non-fatiguing recovery intervention. After paying $700+ for the product. Which required the app to run it. One would hope that the APP does its job. However, It loses the Bluetooth during sessions, between sessions and takes FOREVER to pair again. I would say this product is a total waste of good money. However the unit itself is good. I just don’t have the time to spend so long problem solving with the app. I’ve tried it on several phones too. So it’s not me... it’s you! It should be plug and play! No option to do manually either. Considering sending it back! Bummer I was really excited about it! Great app, works as advertised - sometimes the Bluetooth connection can drop out though. Needs an Apple Watch app to go along with it so we can start workouts without needing the phone out.